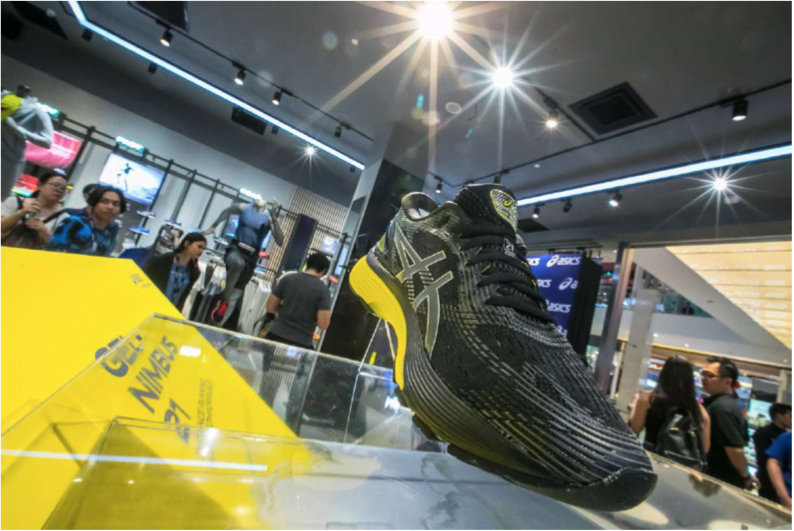 ASICS Introduces New Pairs of Sneakers And Onitsuka Tiger Opened Their Flagship Store in Singapore | JustRunLah! ASICS X Kiko Kostadinov presents the fourth and latest instalment of their exclusive collaboration, by announcing an updated release of the GEL-DELVA™ in vivid new colorways to the previous performance-wear iteration. The GEL-DELVA™ made its first appearance during the Kiko Kostadinov AW18 show at London Fashion Week. The unique technical elements of the GEL-DELVA™ remain the same as the first instalment; a FLYTEFOAM™ midsole, the DYNAMIC DUOMAX™ material on the base of the sneaker and impact Guidance System™ allowing for a comfortable and stable feel for the wearer. The latest issue of the symbolic GEL_NIMBUS™ has been launched, which features ASICS latest cushioning technology; FLYTEFOAM™ PROPEL and FLYTEFOAM™ LYTE. Celebrating it’s 21st birthday, this iconic shoe incorporates high-tech science which focuses on the wearer, and latest innovations to give long-distance runners high-quality comfort in order to run longer distances for an extended amount of time, while maintaining an ultra-smooth pace. 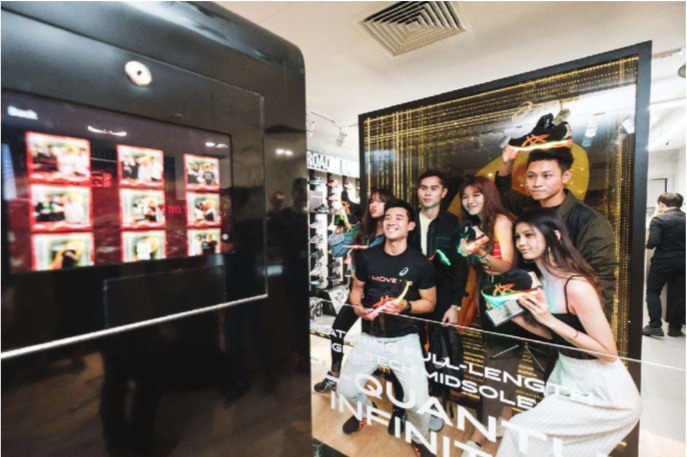 In celebration of the ASICS innovation milestone; the GEL Quantum Infinity™ shoe, media guests and key personalities were invited to immerse themselves in the Quantum Infinity experience on Friday the 25th of January at the Plaza Singapore ASICS Store. 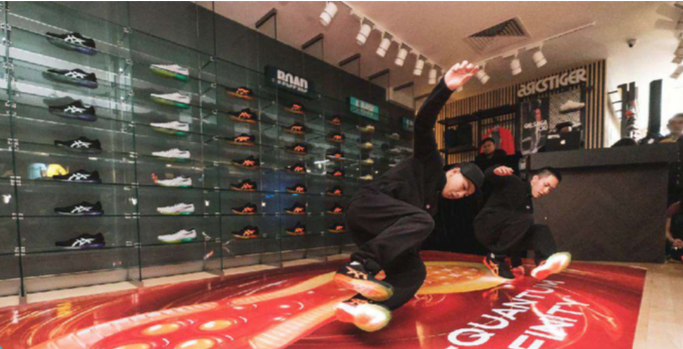 The Exclusive Quantum Infinity Experience event saw over 100 guests gathering to personally engage with the story behind the new GEL Quantum Infinity™ shoe. With an array of activities on offer, the night provided a unique insight into the world of GEL Quantum Infinity™. The event featured an infinity photo-wall that allowed guests to take a Gif. “Catch the Infinity” was another highlight, which outlines the technological advancements of the GEL Quantum Infinity™ shoe through a display of 12 state of the art digital frames. Each frame presented sequences of product information along with photos. Furthermore, a dance breaking showcase took place, which proved to be incredibly popular among guests. The masterly dancers wore GEL-QUANTUM INFINITYTM shoes for a visually enchanting performance. Guests were also able to customize their very own GEL-QUANTUM INFINITY™ branded shoes bags after they took a vital “Sneaker-Gram” wearing their GEL-QUANTUM INFINITY™. The GELSAGA™ SOU is a new take on the classic GELSAGATM model, which was first launched by ASICSTIGER in 1991. The two monochromatic colorways are captured perfectly in these photos from the latest photoshoot, putting forward the GELSAGA™ SOU aesthetic of simplicity and minimalism, while presenting the important aspect of the shoe – comfort and cushion. An exclusive\opening party was held to celebrate the latest addition to the Onitsuka Tiger family of stores in Singapore. 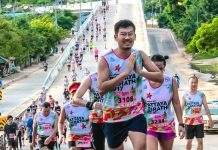 Held on the 25th of January 2019, the event took place at the new store space situated at Takashimaya Shopping Centre. 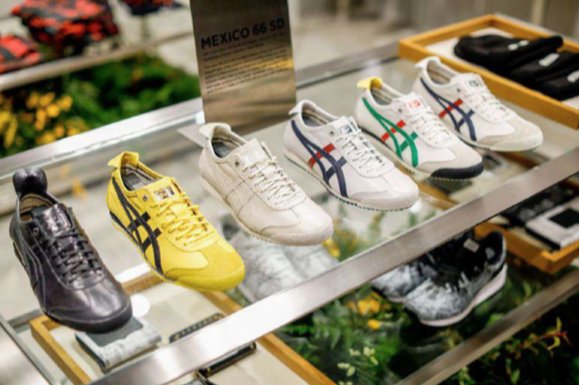 The celebration recognised Onitsuka Tiger’s role as a premium fashion lifestyle brand which represents a blend of Japanese heritage and present modernity. A range of activities was on offer, including a Kaleido-pop Photo Booth and a live mural painting showcase by Thai graffiti artist Rukkit.